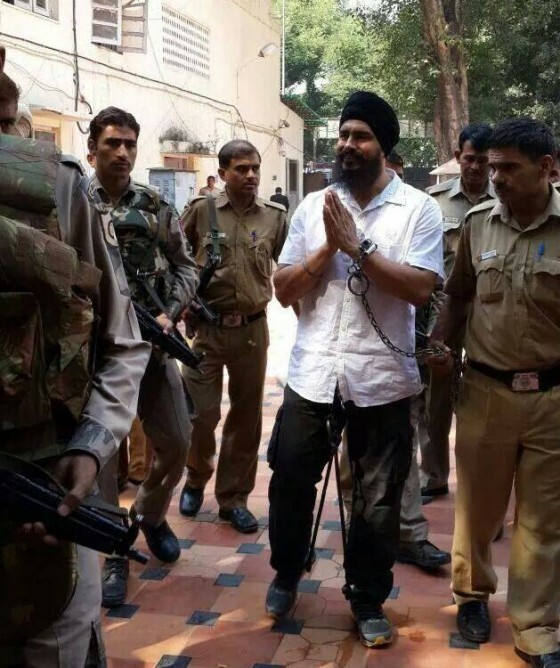 Chandigarh: Sikh Political Prisoner Bhai Jagtar Singh Hawara has moved to a local court in Sahibzada Ajit Singh Nagar Mohali to know the status of a case pending against him there. Acting on an application moved by Bhai Jagtar Singh Hawara’s lawyer Advocate Jaspal Singh Manjhpur on March 01 the court of Ms Vipinder Kaur CJM, SAS Nagar Mohali has asked Sohana police to file status report related to a 11 years old case on 18th March 2017. On March 1st 2017, he had filed an application with Mohali court to know the status of a case pending there. Jagtar Singh Hawara, resident of Hawara village in Fatehgarh Sahib. Advo. Jaspal Singh Manjhpur told Sikh Siyasat News (SSN) during a video talkshow that Tihar Jail authorities recently informed Bhai Jagtar Singh about various cases ‘pending’ against him in papers. Following which an application was moved in a Dhuri court to know the status of the case. He said that the Sohana police had named Bhai Jagtar Singh Hawara in FIR no 31/1998 under Section 124-A and 153-A of the IPC. He said that in yet another case in registered by the Kharar police the court of Ms Ekta Uppal, (Junior Magistrate First Class) has sough status report from the police on 18th March 2017. Advocate Jaspal Singh Manjhpur tells that many cases against Bhai Jagtar Singh Hawara were recently discovered from the jail records. No proceedings were taking place in these cases however that cases were laying pending against Bhai Jagtar Singh Hawara. The case bearing FIR No 144/15-6-2005 was registered against Bhai Jagtar Singh Hawara under section 3, 4, 5 of Explosive Act and sections 25, 54 , 59 of the Arms act.